Creating an acceptable Sender ID is important to getting your bulk message delivered. 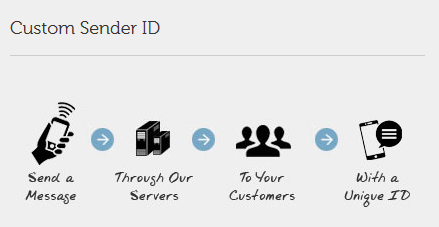 Learn about what makes a good and acceptable custom Sender ID. In bulk messaging, instead of phone number, custom Sender ID is the name that appears as the source of the message when it is received by the recipient. Sender ID for a custom bulk message could be the name of a business, an organization, association, or governmental establishment, depending on the identity of the sender. If not formed correctly, your message may not be delivered. Please follow these rules when adding custom Sender ID to your message. It cannot be an empty string and should not be longer than 11 characters, else it will be truncated. It can contain alphanumeric characters. Numeric Sender IDs are currently not allowed to be used by individuals but usually used by network operators such as MTN, Glo, Airtel and 9mobile. For example, ‘OrgDS’ or ‘WAVE’ or ‘WAVE2’ or ‘ME2U’ is an acceptable sender ID while ‘08012345678’ or ‘04368’ is not acceptable. The first character cannot be zero ‘0’. It is recommended not to begin a Sender ID with a number as such message may not deliver on some networks (e. g. Sender ID like 3KZEE or 2DG is not allowed on some networks). Avoid blank space. Use Camel Caps or Medial Capitals when writing compound words such that each word or abbreviation in the middle of the name begins with a capital letter, with no intervening spaces or punctuation. Common examples include “KongaPay”, “FedEx”, “OrgDS”, and “GTBank”. Must not contain accented characters. Must not contain Greek characters. We hope that you will find this information is helpful. Should you have any questions, feel free to contact our support team.